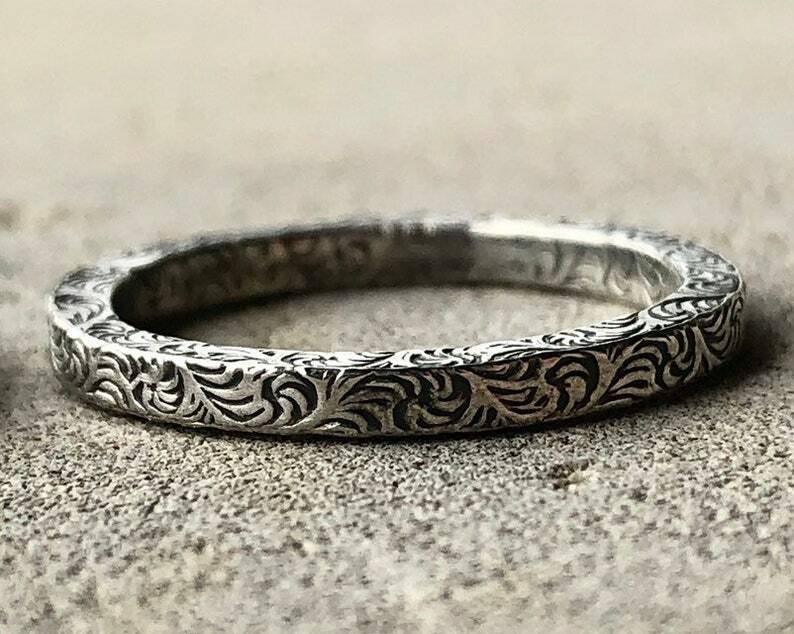 Thin AND substantial, this 2mm wide patterned silver ring also sits 2mm high, so this beauty isn’t bending or breaking! The lovely feathery plume pattern is on all sides of the ring, with the extra detail simply eye-catching. I love this ring! Great for stacking or wearing alone, you can choose to leave it shiny or add a black patina to make the organic pattern show even more. Comes in sizes 4-11, including half sizes, and I can get this MADE TO ORDER ring in the mail to you within 4 business days.